A new Whole Foods opened up, and it’s the closest one to my house! I’m excited because, well, Whole Foods, AND healthy eating is good, right?? So I got to go to a grand opening tour and I took tons of pictures and recorded it on Facebook live (at the request of Whole Foods Boulder/Longmont). So If you’ve never been to one, here’s what it’s all about! First, let’s start with the floral department since it’s always by the entrance, and it’s my favorite of all floral departments in any grocery store. And because pretty. And we need some beauty in our lives. Looks and smells like summer. Not bad, eh? I also love the personal care section. They have great bath items (I’m a fan of relaxing soaks), and you can even find the perfect gift. It’s bar soap, folks. Handmade. Smells amazing! What Boulder smelled like when I was a kid. And they also fed us, which always makes for happy bloggers. Whole Foods is really about the idea of LOHAS; Lifestyle of Health & Sustainability, and it’s reflected in their products and company policies and operations. Their mission statement says “… we offer a place for you to shop where value is inseparable from values.” So while they have a reputation for being pricey, which to be frank, can be true depending on the item, remember that with those extra dollars you’re supporting values like sustainable sourcing, fair wages for workers, and local farms to name a few. What is your favorite store? Do you have Wegmans? Because I don’t and I want to know all about it! 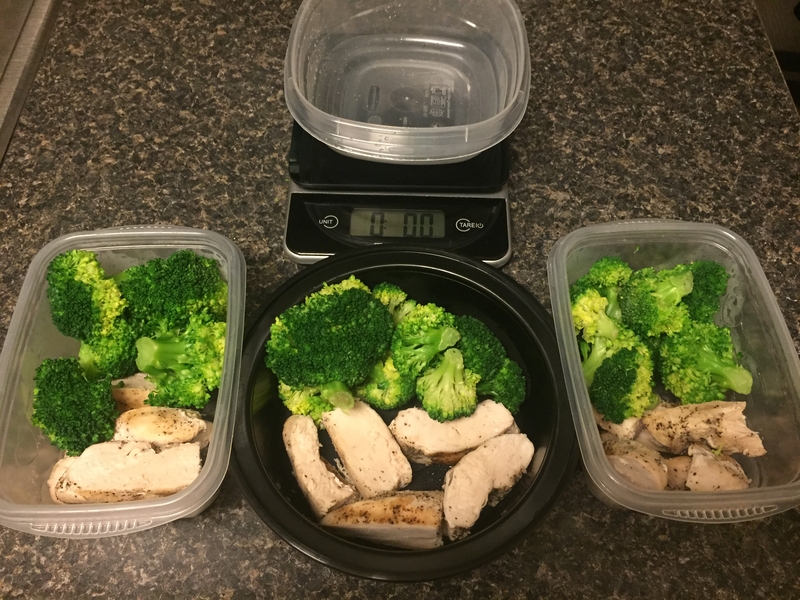 I’ve written before about the importance meal prep plays in my life: it makes eating healthy very easy, and packing lunches in the morning for work is a cinch when all I have to do is grab a pre-made Tupperware on my way out the door. My fiance and I have been pretty diligent for the last few months about prepping our lunches for the week on Sunday nights. For a long time, we were doing grilled chicken and broccoli. Let me tell you, though. After about three months of essentially the same lunch, every work day, chicken is kind of the last thing you want to eat. Not to mention the fact that grilling what amounts to about eight chicken breasts in one night and prepping them for lunches is really time-consuming. We are not about that life anymore. Or right now, at least. And then, two weeks ago, we remembered that we have a crock pot and that it’s a life saver. We planned a recipe for the week that would not only not be chicken, but also be able to be thrown in the crock pot, and left alone for seven hours, so we could run errands and enjoy couch time without having to spend a chunk of our Sunday cooking. Put tenderloin in crock pot – make sure it fits nicely, cut in half if needed. Peel pineapple, and cut into chunks. You can either leave your pineapple like this if you want big pieces in the final product, or you can use your food processor to puree it – I like this option better because it releases more of the juice. Cover pork in pineapple puree, add teriyaki, honey and ginger. You’ll notice that none of these measurements are accurate, because we don’t really measure – we eyeball. Oops. If you’d like, you can also add a little bit of BBQ sauce, too. I usually top my lunches with a little bit, too. Cook for 6-8 hours, or until the meat falls apart. That’s it! Super easy, super tasty, and a definite improvement over chicken and broccoli for months on end. What are your favorite summer crock pot recipes? If you’ve learned anything about me through my blogging in the last year, you’ve probably learned that I am a complete goldfish when it comes to healthy eating. I get distracted by shiny things. And then, before that thing has a chance to take hold, I’m distracted by another shiny thing. Or by ice cream. It’s a thing. A not-so-great thing. Me and food…well, we’re in what I like to call a relationshit. It’s completely dysfunctional and something definitely needs to change. If you don’t know about Whole 30, it’s essentially a SUPER clean, Paleo-esque program for 30 days. It’s something I’ve been contemplating for well over a year, but I’ve always brushed it off as being ‘too hard’. According to the Whole 30 website, this is NOT HARD. This is pretty far from where I am right now. Being that right now, I am eating a giant breakfast sandwich and drinking an Extra Extra iced coffee. I’ve been to Dairy Queen so many times in the last week that I think they are going to start calling me by name (curse you, Celebration Cake Blizzard). I leave my house every morning with no lunch bag, no snacks and no plan, which ultimately dissolves into a high-calorie, high fat lunch out. So, why not just make some moderate dietary changes? Why so drastic? In truth, I’m not at the point right now where moderation is my friend. While as an overall ‘lifestyle’, I fully support the ideal that you can, and should, be able to eat what you want IN MODERATION, right now a cookie = two cookies = a bag of cookies. I’m a classic Type A personality. I do best with a set of guidelines and a goal. I’m competitive and results oriented. And I like to WIN. While I don’t necessarily buy in to the ‘this is NOT hard’ mantra behind Whole 30, I get what they are saying. In the grand scheme of life, nothing about this program represents actual hardship. You get to eat. You don’t have to be hungry. There are plenty of delicious things to eat. Fruits. Veggies. Lean protein. Avocados. NUTS. Honestly, the thing I think I am going to struggle with the most is the non-food related regulation that you not weigh yourself or check your measurements at all during the 30 day period. I am a complete slave to my scale. That said, while I am sure weight loss will occur, I’m really doing this as more of a personal challenge, to see if me and food can come to a more peaceable coexistence. I’d also like my pants to fit, I’M JUST SAYING. As of today, I’m T-minus-four days. I’m trying to suppress my natural urge to eat EVERYTHING I won’t be able to eat during the program over the next four days. Trying. Failing thus far, but still trying. Monday, I jump on the Crazy Train. All aboard! Have you done Whole 30? Do you have tips/tricks/recipes you want to share with Bec? Do you want to join her on the Crazy Train? She loves company!